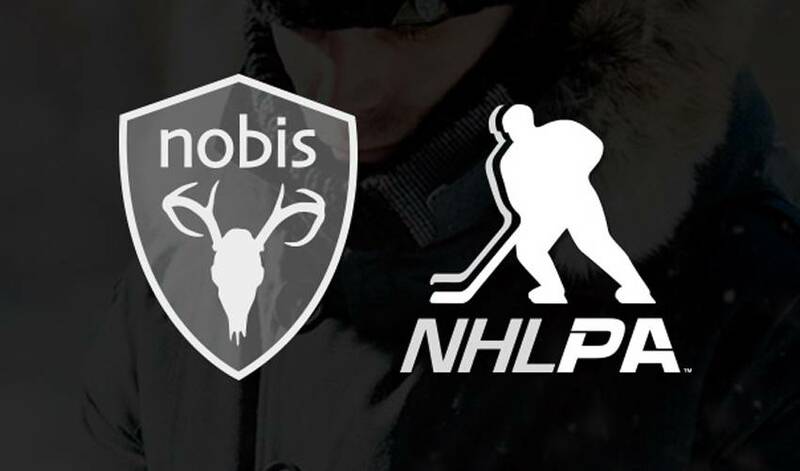 July 13th 2015 - Nobis, "Latin for us" the international renowned, luxury outerwear brand, today announced their much anticipated "Trusted Supplier" relationship with the National Hockey League Players' Association (NHLPA). This formal agreement between the NHLPA and Nobis embraces the existing and developing synergies between their respective organizations. Both Nobis and the NHLPA share a longstanding commitment to youth focused community support. "We are extremely proud of the opportunity to align the Nobis brand with the NHLPA in our shared and steadfast commitment to realize excellence in all aspects of our respective core organizational values. It is Nobis' sincere belief that by growing the brand's relationship with the Players' Association and aligning more closely with the PA's vast team of respected ambassadors, we will be able to provide broader and more poignant community outreach throughout the vast majority of our global retail communities," said Robin J Yates VP Nobis. "We are excited to formalize our relationship with Nobis. They provide high-quality, luxury outerwear that the players value. We have been working closely together already, and we are proud to officially bring Nobis on board today as a Trusted Supplier of the NHLPA, as they have a brand that aligns well with the players," said Mathieu Schneider, NHLPA Special Assistant to the Executive Director.